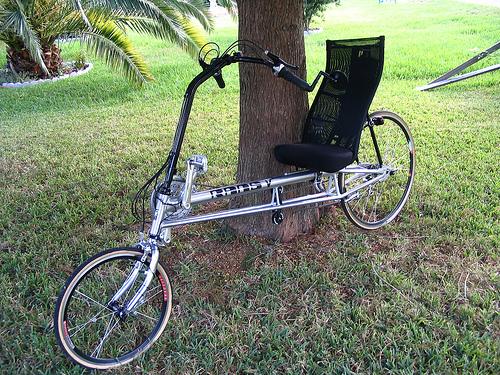 The Rans above is a conversion, from the 451 front wheel to the 700c rear. Replacing the front V-brakes with a set of Ultegra road brakes and the rear with Pauls Motolite mountain bike V Brakes. Finally for the ultimate in comfort look no further than the Bacchetta Handle bars and ReCurve seat.